It can be challenging to find the right place with flattering light to photograph the wedding party. 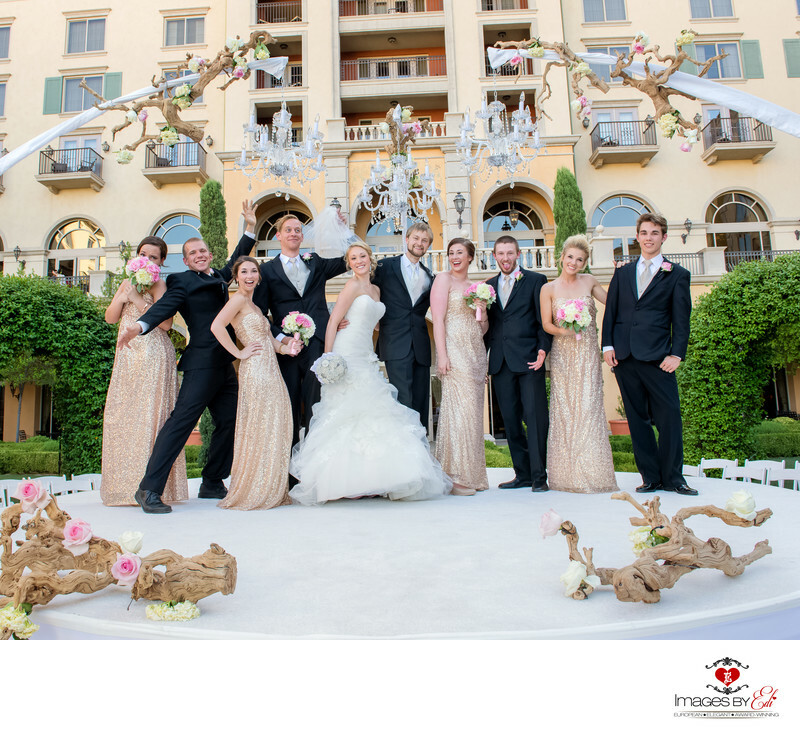 This case, at the Hilton Lake Las Vegas Resort and Spa, we picked the ceremony location to capture this fun moment with the wedding party. The couple traveled from Edmonton, Alberta Canada to tie the knot in Las Vegas. I met the bride, when she visited Las Vegas to meet their potential vendors in person. When we met it seemed like it was meant to be. 2 days later we did an intimate boudoir session, than their Las Vegas wedding in June, on the anniversary when they met. We started the wedding day at the Venetian Resort, where the couple were getting ready, than we drove all the way to the Hilton Lake Las Vegas Resort where their ceremony and reception took place, where this image was captured. Both of them are owner/instructor of a dance studio, so lots of their students came with them to celebrate and even they performed a special secret dance for the couple. The next evening we had an extra session on the Las Vegas Strip. Just the 2 of them, no pressure of their wedding day, just enjoying the time together and the beautiful golden light, right before sunset.